At some stage every grower from cultivation common plant goes home to exotic and whimsical flowers that require special care. Cranky, despite their adaptation to living in the home. Such plants include Phalaenopsis Orchid. Of gardeners begin when there is a need to repot the Orchid. previous transplanting the plants were 2 years ago. The spring months are the most favorable time for transplanting orchids. During this period, the spring sun can smooth out all the stress that the plant would have received from the change of place of residence. From October to February should not disturb a flower without a critical need. In addition, it is necessary to consider a plant if the flower is to monopodial subspecies, to transplant orchids need only with the emergence of green tip formed at the roots. Sympodial orchids are transplanted immediately after the appearance of new shoots, but not necessarily before they start to grow roots. Transplant orchids begins with the drying: roots are still damaged, however, dry wounds quickly heal, even if they got the bacteria. In that case, if the flower is difficult to shake out of the pot, it can moisten. Before planting the Orchid should dry out. It must be put to dry on a towel for 8 hours. In new flower pot, do not water for about a week. You should also avoid direct sunlight on the plant. In order to avoid transmission of bacteria, viruses and fungus the shears and scissors should be treated with alcohol. Also this should be done before the circumcision, the sick parts of the Orchid. At the first stage of the flower need to get out of the pot. In order for this process to go less painful for a flower pot you need to hold both hands up until the plant roots begin to separate from the sides. Then you need to see the roots of the Orchid from the substrate. It can be easy to shake. In some cases you will have to divide the roots to remove the substrate. Thus, we need to move from the bottom up. Those roots that are grown into the substrate, not to be touched. It is useful to wash the roots of the orchids in water at room temperature. Transplanting orchids is a process that requires attention and patience from the grower. So, all the roots and substrate of which benefited the plant should be thoroughly inspected for pests. 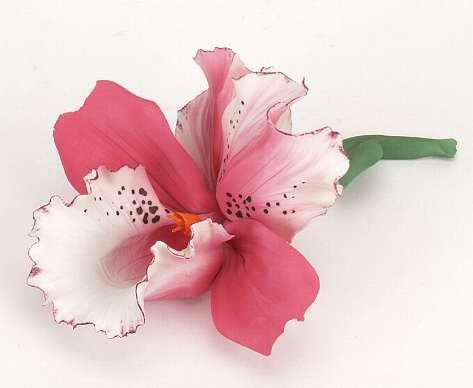 If pests were detected, all the roots of the flower should be soaked in water for a few hours. This will lead to the death of most of them. 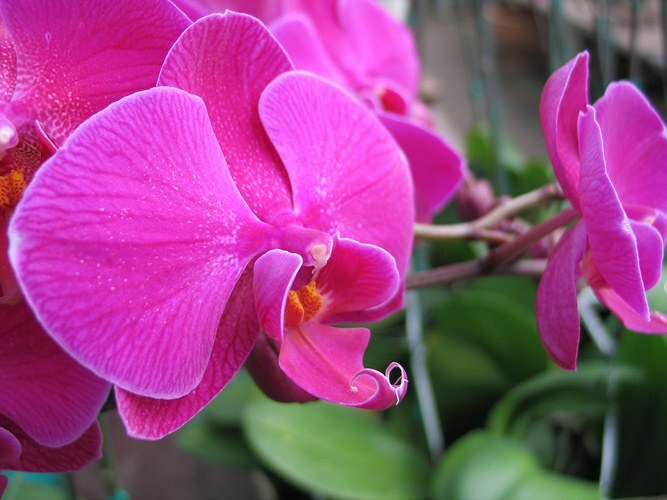 Pests need to identify and then treat the Orchid with an appropriate cleaner. You then need to trim all the rotten and dead roots. The latter is easy to determine if you squeeze them with your fingers: they will be empty or they will leak fluid. Other roots is not recommended to touch, even if some of them are broken. It may have a negative impact on the condition of the whole plant. Replant the Orchid in the pot a little more, but this is optional. Dendrobium prefer close to the pots at the same time, orchids sympodial species are best to plant in the clear container large. You first need to fill the pot drainage to⅓. This is great for concrete, granite stones or foam. To capacity was more stable, and the flower was convenient to water, often on the bottom of the pot put a few granite stones. First they need to check: put a few drops of vinegar. The plant sits in a pot and cover with portions of the new substrate. Periodically the capacity to tap on the table. After planting Orchid should not wobble in the pot. Large pieces of bark should be placed at the bottom of the pot, smaller at the top. If you repot the Orchid in an old pot, it must be pre-treated with 70% alcohol. Five days after transplantation of the plant should not be watered. You can only spray the leaves. Some time after the transplant orchids need to observe her: a healthy plant will quickly recover from a “change of residence” and begin to grow at an accelerated pace. Unhealthy plants, which at the time of transplant had been pruning the roots require special attention. They need to maintain a certain level of humidity. Phalaenopsis are placed together with the pot in a plastic bag, and then have it periodically ventilated. Transplanting orchids is stressful for plants. Some of them may not even recover from it. Proper care will make the flower more strong and will prevent rotting of the root system. Accordingly, this will avoid problems with flowering orchids. good lighting. This will depend on the development and flowering of orchids. Transplanting orchids is necessary, and in some cases a necessary process, which will depend on, will the plant continue to live or not. Orchids need to be transplanted periodically and on time. While the colors don't really need large pots. Is more important for them to be regularly in the fresh substrate to the roots has received enough air, and the pot would be evenly dry. The substrate is eventually compacted and decomposed, and the roots receive less air than you need. Because orchids need during transplant. This should be done once in a year or two. The best time to transplant is early spring, symbolizing the initial phase of development of the plants. The substrate can be updated late summer to early autumn. In the winter during their flowering orchids to transplant is not recommended, otherwise the flowers will not have time to recover. In the summer heat too, flower is better not to transplant. Newly acquired Orchid is better to repot after flowering in the used substrate. An important role plays also the transplant drainage layer, which is best done from pottery shards, flakes of Styrofoam or pebbles. This layer will ensure the diversion of water from the roots, which is harmful to reside in the water. Be sure to take fresh material for drainage and a new pot (or the old sanitized). Procedure of transplant: remove the Orchid from the pot, knead it thoroughly from all sides and hit lightly on the bottom of the pot. Then completely remove all the old substrate. Next fire disinfected scissors, cut off dead roots (if any), old and dead bulbs. Large disinfect the wounds with charcoal powder. Now fill the pot with drainage material for a quarter. Sprinkle the layer with a small amount of land. Now take an Orchid, put it in a pot, turning in different directions. Also place in the pot the roots that hung before through the edges of the vessel. Be careful with solid roots, which are particularly fragile. Fill the pot evenly from all sides of the substrate. Also lightly tap the pot on the table to allow the substrate to penetrate into the space between the roots. In this case the root collar of the plant should be above the substrate. Water the plant a day or two, not before. Otherwise with the water in unhealed wounds penetrate bacteria. 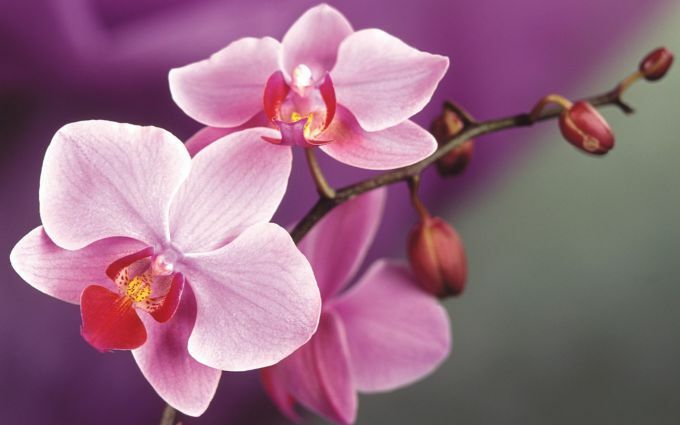 Beautiful, flowering orchids – a dream for any grower. It is necessary to consider some peculiarities in reproduction (Seating chart) these colors to the greenhouse remained in excellent form for a long time. If the plant is large, it is desirable to seat it with the help of division. Try to leave each part of the hive 3-5 Rostock. So you will have more of a chance that the Orchid will bloom again and not die. If you decide to plant out Orchid for the reason that the plant closely in the pot and the surface started to come out the bulbs is easy. Remove the plant from the pot and loosen the roots. With a sharp knife cut off the bulby part (leaving a few roots on it) and put in a new pot. Daily water the plant through the pan and a little spray of water (room temperature) before the appearance of leaves. Then continue care as for adult plants. If the Orchid is finished flowering, you can use the old Bulba. To do this, separate the potatoes in a separate pot and maintain a temperature of 20-25 degrees. After a certain period at the base of the bulbs, from the kidneys, there will be new plants that stands to separate and to seat them in separate pots. Sit the Orchid can and the old, proven way – cuttings. Cut the side shoot (long stalk, withered stalk length of 10-15 cm, Place on soil surface in the greenhouse, if possible heating. After 2-3 weeks, the stem can be planted in a separate pot. Planting and cultivation of orchids, favorable temperature of 22-25 degrees. Cut bulbs, stems better preporuciti charcoal. So faster the plant will not die. 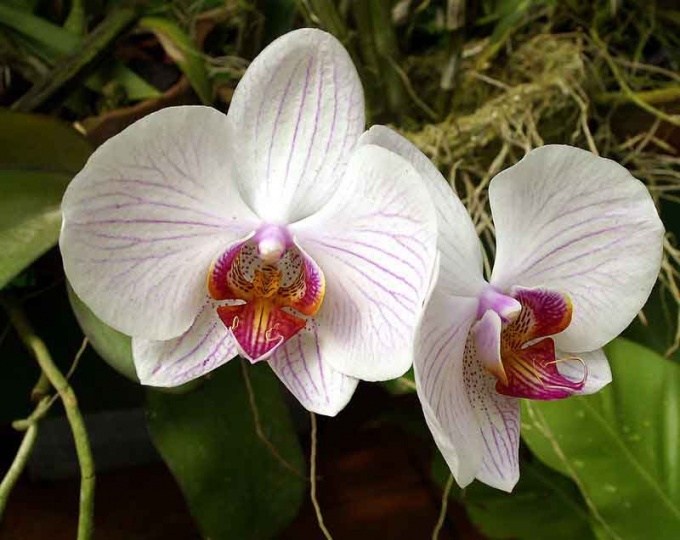 Orchid as an indoor culture, requires special attention of the grower, and therefore has its own secrets to wooing her. In addition, after some time you will face a question: how to transplant orchids to a new flower bowl. So the plant is not dead, you should know the technology of this process. - flower pot with holes. It is impossible to transplant the Orchid in the flowering period. Transplantation should be done only in the presence of poor quality soil, which can harm the roots of plants. The appearance of the orchids will tell you that it is time for transplantation: yellowed, limp leaves of the plant, drooping flower heads. For the procedure the transplant you need to purchase special soil for orchids, flower pot with holes at the bottom for air circulation, a suitable size for the plant (about 2 cm space from the sides of the bowls should stay, if we omit in it the roots of the flower), expanded clay. Rinse well with a new bowl, disinfect the scissors with alcohol or calcined in the fire. Before transplanting the Orchid should be watered to its root system softened. Gently remove the plant from the pot, untangling the roots and picking the remnants of the former soil. Carefully review the roots: yellow, white, soft to the touch, remove-is the diseased roots. Slices sprinkle bactericidal agent (activated charcoal, ground cinnamon or powdered charcoal). Now you need to dry the roots. Keep the Orchid outdoors for 2 hours. Prepare a pot for planting: sprinkle concrete block (1/3 of the height of the pot), the first layer of soil for the Orchid. Gently drop the plant, filling and compacting around, leaving no voids between the roots. To strengthen the orchids should be put back up and tie it to her flower. Place transplanted plants in a place where no direct sunlight and soak the air around her. The first watering will realize no sooner than a week, and fertilization in a month. 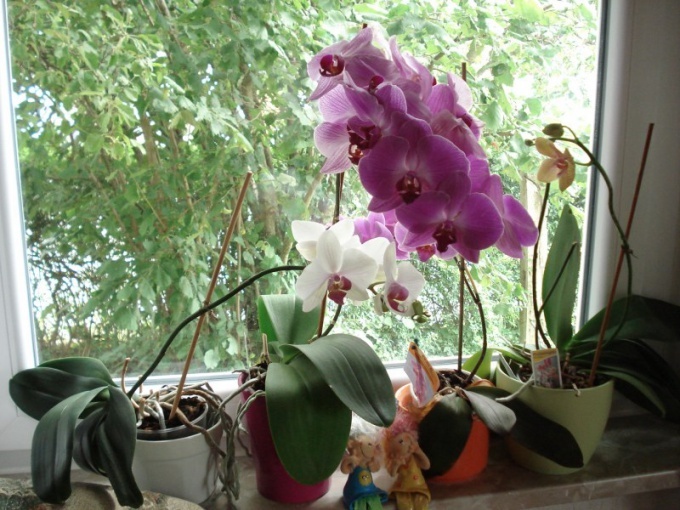 Now a few tips on caring for orchids. To water this flower only after complete drying of the soil. The presence of drainage at the bottom of the pot will help to get rid of excess water. 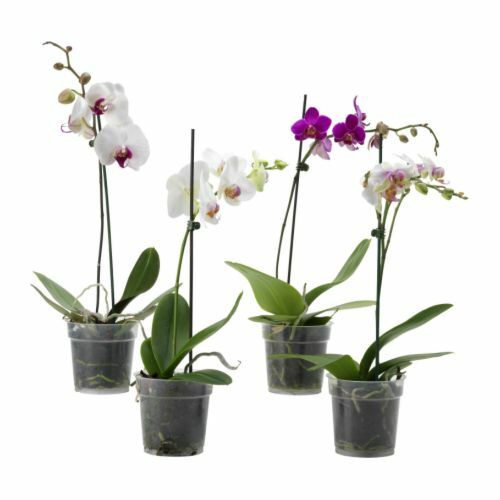 Make watering plants in the morning with filtered warm water 35-40° C. don't forget to humidify the air around the Orchid. One hour after watering you should remove excess water with a cloth with leaves and white stains, if they occur, wipe with diluted lemon juice in the ratio of one to one. Orchid – photophilous plant, but it should be protected from direct sunlight. The plant lives in dry and dust, likes to "walk" in the fresh air without drafts and requires ambient light for at least 10 hours a day. The temperature in the room where the Orchid grows, should range from 18 to 25°C. If you properly care for Orchid, she will long to please you with your noble bright colors. Orchids are the most unusual plants which can be grown at home. Many of them are epiphytes, that is, do not grow in soil but on other plants from which they receive only support. In the home orchids are planted in baskets or pots with good ventilation, filled with a loose substrate. Orchids is not recommended to replant too often. However, if the substrate, which grows epiphytic Orchid, almost completely disintegrated, causing the roots of the plants run the risk of losing good ventilation and to rot, the plant should be transplanted, even if it blooms. Especially it is often necessary to transplant the flowering of Phalaenopsis, which are almost the most popular with the fans of indoor plant growing of orchids. Epiphytic orchids should be transplanted before they begin the period of growth of the roots. To determine whether to do a change, look at the roots of the plant. If they are painted in bright, slightly yellowish color, the plant can be transplanted. The green color of the tips of the roots means that they have started to grow and there is a risk of damaging the transplant, which is undesirable. When transplanting the plant should be separated from the old substrate. To do this, remove the flower from the pot. If the Orchid was planted in a clay pot with a rough surface, its roots managed to cling to the clay and will need carefully to separate, helping himself with a flat wooden spatula. If you can carefully break the pot, you can leave portions of the roots. Place the roots of the Orchid in water at room temperature. This will help you to separate from the plant remains of the old substrate. Prepare new substrate. To do this, take pieces of pine bark and boil them for twenty minutes. Cool, dry bark and chop it into small pieces. The crushed substrate soak for two to three hours in a solution of fertilizer for orchids. The solution of fertilizer to the soaking of the cortex is best done in half the usual concentration. Press crust to the bottom of the container in which it is soaked, some goods. Sometimes the substrate for orchids add washed sand, peat, dead leaves and charcoal. Remove the Orchid out of the water. Fragments of the old substrate, which is not separated from the roots, to tear not worth it. Inspect the roots and remove the rotten parts of them to healthy tissue. This should be done with a sharp knife and slices it to powder charcoal. Within a few hours will dry the roots of plants. On the bottom of the tank that you picked orchids, put some of the bark. Place the plant in a pot and carefully pour the roots of the residues of the substrate. Secure the flower so that it is not loose in the pot, but strongly compacted crust is not necessary. The upper part of the substrate cover with sphagnum. Spray the plant and put it in a couple of weeks in the greenhouse. Carefully transplanted blooming Orchid needs to transfer all these procedures without any consequences. Orchids need transplanting every two years, because over time, the substrate loses all its nutritional properties and Orchid "fast." Talking about this following symptoms: the leaves turn pale, wither, the growth of new bulbs stops. If you notice your flower one of these signs is a call to action. Before the beginning of operation place the pot with the Orchid in water for a time to the substrate, which is a flower, soaked and separated from the walls of the pot with ease. Orchids are preferably grown in a plastic pots - first, the flower is easier to remove by squeezing the walls of the pot, and secondly, to glass and clay pots roots flower can be cold, if they are, for example, on the window. If the roots orchids clung to the walls of the pot, carefully separate them with a wooden stick. Next, rinse the orchids roots with warm water, to clinging to him, the substrate is moved away without damaging the flower. If the roots you find rotten areas, they must be cut to a healthy part of the root. The cut must sprinkle with powdered activated carbon. Next, you pour in the prepared pot with a perforated bottom of a small drainage layer. Drop the Orchid on the drainage layer and carefully fill with substrate. Periodically shake the pot or tapping it on the walls for a uniform distribution of the substrate between the roots. Orchids need a special substrate, which can be bought in any flower shop. No need to pack the substrate tightly, the air and light and water is good enough to penetrate to the roots of the Orchid. If part of the roots in the pot does not fit, there is nothing wrong that they will remain on the surface. Do not water the Orchid immediately after it was transplanted, because we've had enough to wet the roots by washing them. 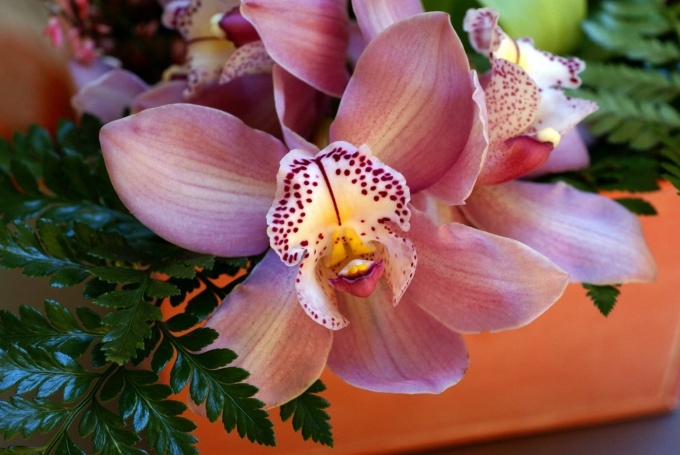 After planting a pot of Orchid should be placed in a shaded area with high humidity. First time to water an Orchid can be in two or three weeks, moving it to the place where it will stand permanently. If the Orchid will flower in the same year, when he was made a transplant, it can be considered successful. Transparent plastic pot with a perforated bottom is necessary for the Orchid to her roots in sufficient quantity of received light and air and to water did not stay in the substrate and the roots do not rot. The natural habitat of orchids in the trees, so the sun and the air is especially important for them, this should be considered with care. Every two or three years orchids need to be transplanted, because the substrate tends to decompose and rot gradually begins to destroy the flower. Saline substrate also causes damage. So, you need to change it. Soil for orchids will not take on a flowerbed or vegetable garden. And even buy one at the flower shop is not an option. Soil requirements specific, as the plant itself. It must be good to breathe (compressed invalid) and to retain moisture for a long time. This files most often for filling of pot used pine bark, in particular pine. If you decide not to buy, and you got the stuff for free, remember that the bark needs to be removed from dry wood, dead. To avoid a possible presence in it of live larvae or insect eggs, boil in boiling water, and then dry. Cut into pieces of desired size, preferably not flat, but thicker. Pots for transplant it is better to use transparent plastic with many air holes. Transparency is necessary, as it allows the roots to receive the necessary amount of light, and gardeners to observe their development. Once made to prepare all necessary materials for transplant, begin cutting stalks. To retreat after 3 or 4 buds about half an inch and shorten each spike. Roots are outside the pot, you must also trim. Only after that, remove the Orchid from the pot. Carefully remove the old soil, taking care not to damage the roots. If there are damaged or dead remove. The procedure for disentangling the complex roots, you have to patiently and slowly, very carefully to do all this. Sections were treated for disinfection with cinnamon or ash. It is advisable to leave the Orchid for a day like this. If the remaining pot after cutting the roots of suitable size, it can simply be washed thoroughly with hot water and reused. The next day, put the Orchid in the prepared pot and fill the space between the roots of pine crusts. Small gaps left for the free development of the root system. At the end a little shake to seal happened naturally. Watering is not necessary, adaptation to the new soil lasts for about a week. That's all, improved flower after a small stress ready for a new life.